The following sections contain the system requirements for supported Windows and Macintosh operating systems. Supported Windows operating systems: Windows XP, Windows Vista, Windows 7, Windows 8, and Windows 10.
note: This product does not support Windows XP Professional x64 Edition, Windows 2000, 95, 98, 98 Second Edition, ME, 3.1, NT 4.0, 2003 server (64-bit). Mac OS X v10.5, Mac OS X v10.6, OS X Lion, OS X Mountain Lion, or OS X Mavericks. The following sections contain information about paper-tray capacities and paper types and sizes. 2Output tray capacity is affected by the type of paper and the amount of ink being used. HP recommends emptying the output tray frequently. Print speeds vary according to the complexity of the document and model. Language: HP PCL 6, HP PCL 5, HP postscript level 3 emulation. Copy speeds vary according to the complexity of the document and model. Maximum number of copies varies by model. Maximum copy enlargement ranging from 200-400 % (depends on model). Maximum copy reduction ranging from 25-50 % (depends on model). Twain-compliant software interface (Windows only). Resolution: up to 4800 x 9600 dpi optical (varies by model); 19200 dpi enhanced (software). Color: 48-bit color, 8-bit grayscale (256 levels of gray). Maximum scan size from glass: 216 x 297 mm (8.5 x 11.7 in). 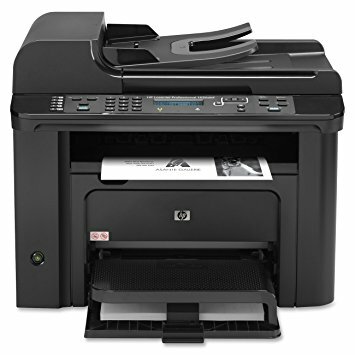 Walk-up black-and-white and color fax capability. Up to 110 speed dials (varies by model). Up to 120-page memory (varies by model, based on ITU-T Test Image #1 at standard resolution). More complicated pages or higher resolution takes longer and uses more memory. Manual fax send and receive. Automatic busy redial up to five times (varies by model). Automatic no-answer redial one time (varies by model). CCITT/ITU Group 3 fax with Error Correction Mode. 3 seconds per page speed at 33.6 Kbps (based on ITU-T Test Image #1 at standard resolution). More complicated pages or higher resolution take longer and use more memory. Ring detect with automatic fax/answering machine switching. The following sections contain environmental specifications. Allowable operating temperature range: 5º C to 40º C (41º F to 104º F). Humidity: 15% to 80% RH non-condensing, 28º C maximum dew point. In the presence of high electromagnetic fields, it is possible the printed output from the HP Photosmart might be slightly distorted. HP recommends using a USB cable less than or equal to 3 m (10 feet) in length to minimize injected noise due to potential high electromagnetic fields. Non-operating (Storage) temperature range: 0º C to 35º C (32º F to 95º F).